Scott Jackson, CPA is a finance and accounting professional with over 18 years of experience in basic bookkeeping and tax works. 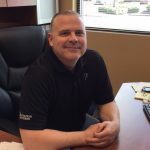 He specializes in financial reporting, accounts payable and receivable, payroll, general ledger, and inventory control as well as budgeting, cash forecasting, and debt forecasting. He also provides QuickBooks Online support. Work For Scott Jackson, CPA? Claim This Page.